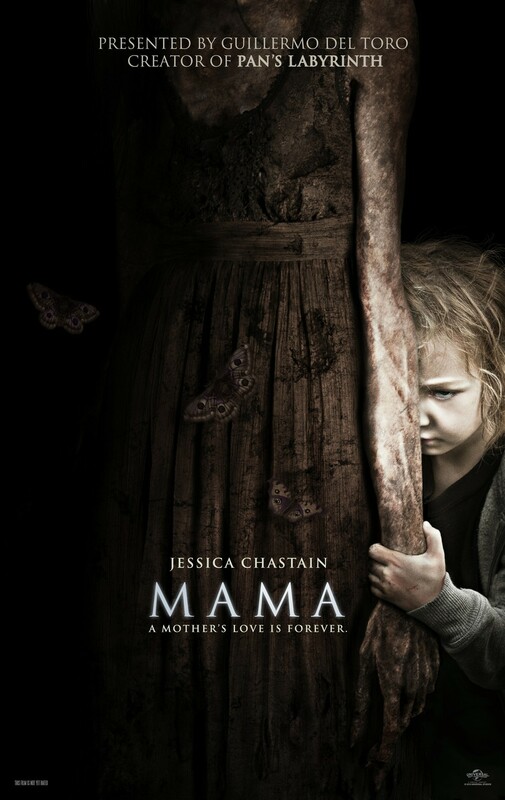 It has a spooky atmosphere, a wicked story and a solid performance by Jessica Chastain as a woman who is trying to solve the mystery of how her boyfriend’s nieces survived in the wilderness for five years and why they still seem to be haunted by a menacing ghost they call “Mama.” No fair revealing more plot details. But you should know that “Mama” is the American feature debut of director Andres Muschietti, whose 2008 short of the same name was well received (you can watch it on Youtube). The feature length movie, produced by non other than Guillermo Del Toro (“Pan’s Labyrinth”, “The Orphanage”) doesn’t always stray on track, but it knows how to fry your nerves, mostly because it decides it can haunt an audience without spraying it with blood. This is major as far as I’m concerned and even though the movie doesn’t break new ground, it still works you over with riveting restraint. What more can you ask for?